Hey lovelies, Happy Wednesday! Thank God the week is almost over, because its only mid-week and I’m exhausted! Today’s look is perfect for a little mid-week style motivation. This outfit features this cool, and comfortable silk jumpsuit/romper by Cooper & Ella. I love pieces that are stylish, but have a subtly to them. 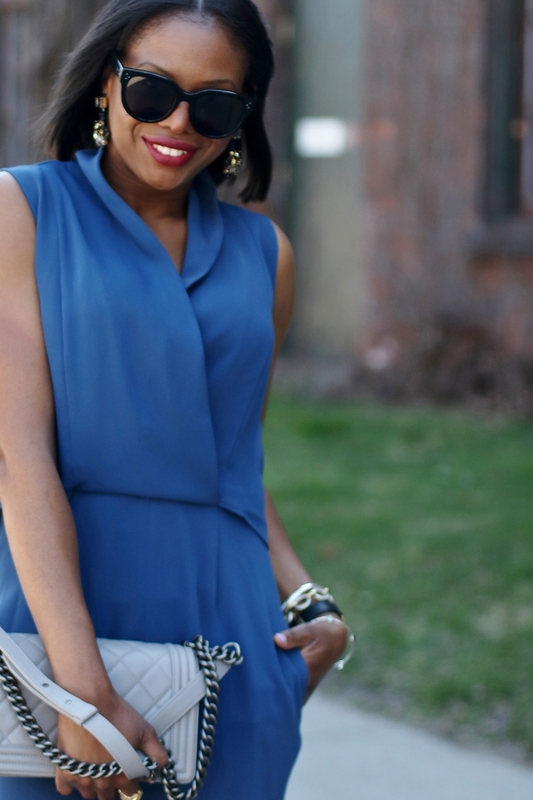 A jumpsuit like this is really for people who appreciate great fabric, and less fuss. The soft blue hue of the romper works perfectly with yellow, and creates an alluring visual. I hope you get inspired by today’s outfit, and create a look that stands out without being over the top. P.S. Don’t forget to use the shopping links to get the look!